So as I mentioned in last week's post, I've currently been doing an online workshop with one of my favourite photographer's, Courtney Holmes. Courtney is one of my inspirations, hers is the kind of work I aspire to. Doing her course has not only taught me so many valuable skills in regards to making films with my camera, but it's also helped me to understand what it is exactly I want to do with my photography, and the direction I want to take my business in 2017. After an interesting weekend I've made some decisions about the kind of work I want to do in 2017 and as soon as I've finished the course I'm going to start working on overhauling my business website to reflect the kind of work I really want to be doing, and hopefully start attracting my ideal client. I'm going to revisit the things I learned while doing the Fearless & Framed marketing course at the beginning of the year and also practice, practice, practice making films. I've always had a bit interest in film. When I finished high school I went to Uni to study TV & film production, but I never finished my degree because it wasn't as hands on as I wanted, and after investigating it a bit more I realised it was really more of a communications degree than a production degree. So I left and as the case was, got caught up in the world of sales & publishing and there I stayed until I left to have Zee in 2013. Fast forward three years and I am so excited to have found a way to incorporate my love of film in to my photography work, and hopefully one day soon I'll be able to bring the two together and offer not only photography but videography to my clients. It's the perfect way to record your family's story and go beyond the still images. I know I share a lot of my photography here on this blog and I thought you guys might be interested to a) see what I've been learning in the course and how I've put it in to practice, and b) see a little bit more of what our afternoon adventures and homelife looks like, beyond the images I share here and on IG & FB. 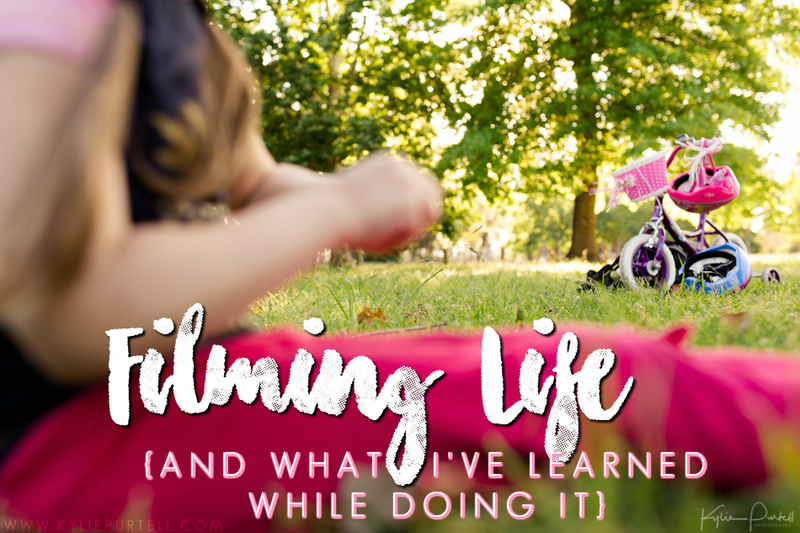 So here are the first two films I've made while doing Courtney's Filming Life workshop. I totally understand if you're not keen on watching the video's, I'm not always a fan of video's in blog posts myself, so don't feel bad if you skip over them and go straight down to the link-up, I totally understand. But if you want to have a watch they are below, and I hope you enjoy them! Had any a-ha moments lately? Have you made any plans or decisions about how you want 2017 to look? Let me know in the comments. And just to be clear, this post is in no way sponsored by or affiliated with Courtney Holmes. I wasn't paid to write this post, I paid for the course in full and I don't get anything for posting about it. I just wanted to share what I've been up to.